As the majority of the country takes a break proposing and passing new rental housing laws and regulations, let’s take a moment to review the rental housing bills that are currently up to bat. From regulations on service animals in Illinois, rental property registration in the city of Portland, and additional homeless grants and assistance in California, the rental housing legislation at this point is a mixed bag. Take a look below at the passed and proposed rental housing laws in your state. This November, Californians will vote on whether or not to repeal the Costa-Hawkins Act, allowing cities to enact rent control ordinances down the line. Meanwhile tenant activists are also urgently working to secure their own city-wide rent control initiatives on this year’s ballot. It’s an understatement to say that reinstating rent control would not only be disastrous to the rental housing industry, but to California’s affordable housing supply. To put it bluntly: this is why you and your renters should vote ‘no’ on rent control. URGENT: California will be Voting on Rent Control in November! On Friday the Secretary of State Alex Padilla confirmed that tenant activists have gathered enough signatures to qualify their state-wide rent control measure for the November ballot. With the fate of the Costa Hawkins Act in the hands of Californian voters, it is vital that rental housing professionals in California be vocal in their opposition. Although most legislators are preoccupied with the 2018 primaries, the number of passed, pending, and failed multifamily housing bills continues to grow. 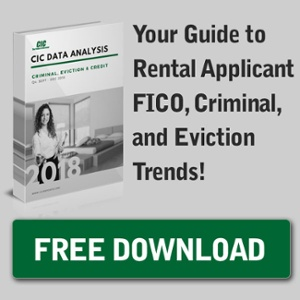 This June, familiar rent control, “just cause” eviction and “ban-the-box” legislation is an ongoing rental housing topic across the nation, while newcomer laws regulating apartment solar panels, lease terminations with tenants suffering domestic violence, and employment questions around marijuana have popped up. Take a look at the passed, pending, and future rental housing bills nationwide and in your property’s state below. This year, tenants’ activists within California have rallied to get rent control initiatives on the November 2018 ballot. As the deadline for ballot measures gets closer, activists in cities across the state have begun submitting their signatures for approval. While none of the proposed measures have officially made it to the ballot so far, below is an update on where California stands on their state and city-wide rent control measures. A bill that would require California property owners and managers to list a “cause” or reason to evict or terminate a tenancy has been progressing at an alarming rate. Despite being introduced in February, AB 2925 is scheduled to be heard on the Assembly Floor sometime this week. We urge you to review AB 2925, and join industry experts like the California Apartment Association and CIC in opposing it. With April showers comes new rental housing legislation. Amongst bills ranging from ‘ban the box’ employment screening procedures to rent control, legislators across the nation are anxious to reform old rental housing regulations and create new requirements. Although some multifamily bills have passed, the majority of this month’s legislative update is still on the chopping block (for better or worse). Take a look at passed, pending, and future rental housing bills nationwide and in your property’s state. Within the past few months Washington State, Spokane, WA, and Kansas City, MO have joined the ranks of cities and states that have enacted ‘ban the box’ employment legislation. With this move, all west coast states (with some west coast cities) have ‘ban the box’ laws in place. As this legislative trend pops up in other cities and states across the U.S., keep these laws in mind as your state’s proposed bill will likely have similar terms.